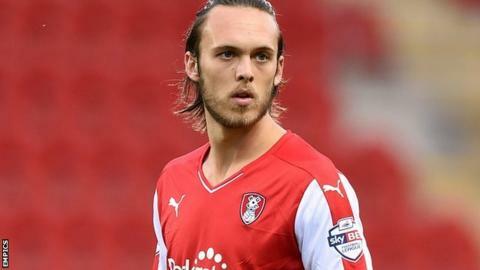 Bradford City have signed Rotherham United defender Tom Thorpe on loan until the end of the season. Thorpe, 23, has made seven appearances for the Millers this season, but last featured in the 5-2 defeat by Ipswich on 7 November. The former Manchester United trainee could make his Bradford debut against Millwall on Saturday. The Bantams are currently seventh in League One, outside the play-offs on goal difference.